Warebeth can be a wild place when windy weather hits, but there is no better beach to help you blow away the cobwebs. 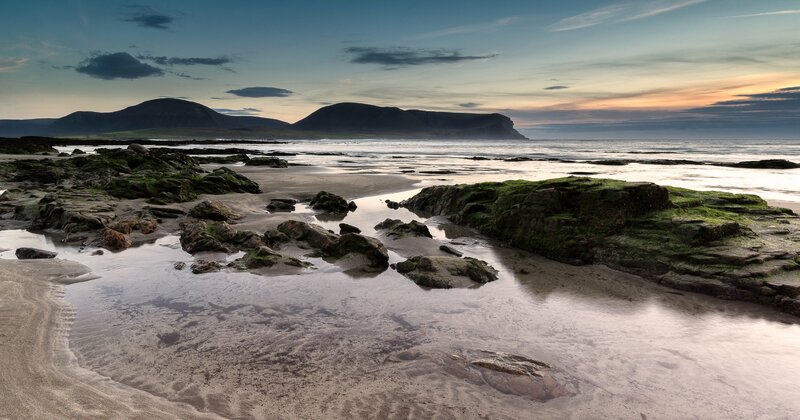 There is a fantastic walk from the town of Stromness that leads you along the shore of Hoy Sound to Warebeth, a lovely sandy beach with plenty of rocks and boulders to explore too. Alternatively, you can park close to the beach and save your legs for beachcombing instead. If you visit Warebeth after wild westerly winds then you could uncover finds from as far away as North America and the Caribbean! The one constant at Warebeth is the scenery. 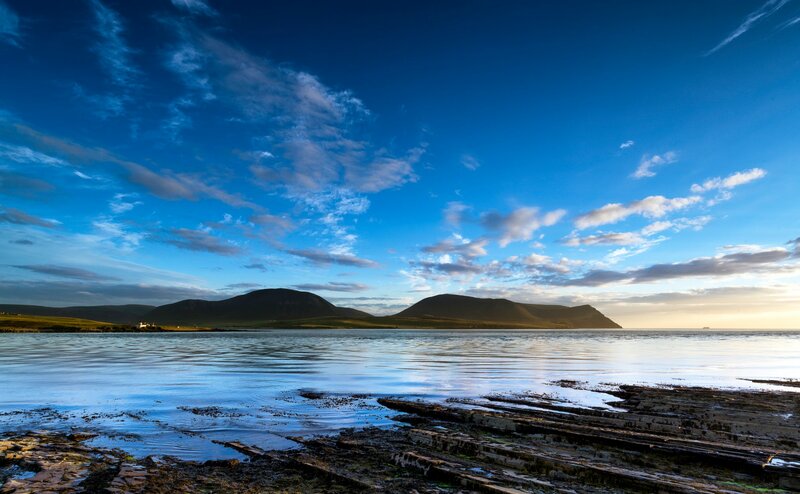 You'll have the Hoy hills for company and views down the west coast of Orkney's high island. Time your visit right and you'll be able to watch the NorthLink Ferries vessel Hamnavoe head in and out of its home port of Stromness too. 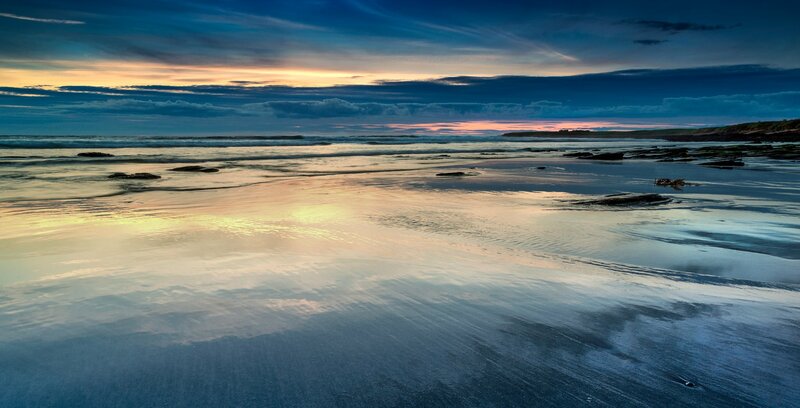 Warebeth is a brilliant place to watch a sunset, or take a late evening walk during the summer, watching the colour of the hills across Hoy Sound change as the sun dips below the horizon.